The land around the city of Arezzo has always produced high quality wines and today we can be proud of 8 D.O.C wines. Red wines have always been the most appreciated ones, but also the white wines are a great expression of the Arezzo land. The most popular grape is the Sangiovese. -Departure from your Holiday accommodation. -Visit to a winery of the "Strada del Vino Terre di Arezzo", wine tasting (3/4 labels), with typical products. -Return to your Holiday accommodation. 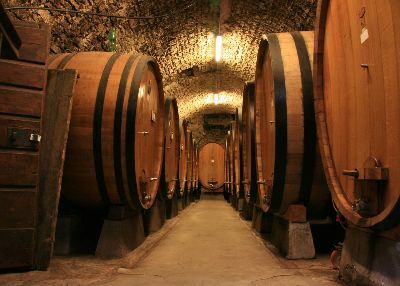 The Arezzo wine tour (half day) includes all transfers by minibus and authorized driver. The tour takes place in the morning (on request it is possible also in the afternoon). Possibility to book a private Arezzo guided tour with professional guides of your mother tongue. - Visit to a winery of the "Strada del Vino Terre di Arezzo", wine tasting (3/4 labels), with tastings of typical Tuscan products. -Departure for the second winery. Visit to the second winery, wine tasting (3/4 labels) with typical Tuscan products. The tour includes all transfers by minibus and authorized driver. Possibility to make a typical lunch at the winery or in a restaurant in Arezzo with a change on time table and an additional price.